Bubby and Bean ::: Living Creatively: Want to Be on Bubby and Bean? Now Accepting June Sponsors! Want to Be on Bubby and Bean? Now Accepting June Sponsors! 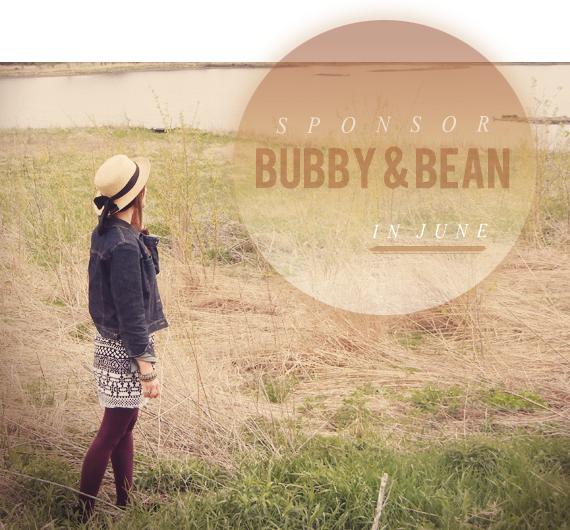 This is the official call for June Sponsors here at Bubby & Bean: Living Creatively! June is going to an exciting month around here. We're planning on covering some awesome summer DIY projects, style features, summer recipes, personal and travel adventures, and we have a pretty amazing partnership in the works that we can't wait to share. And you can be a part of it through a Bubby and Bean Sponsorship! I'd love to help promote your blog, small business, Etsy shop, boutique, or online portfolio to thousands everyday this June. For more information on our various advertising packages, current stats, press, and pricing visit our sponsor page. You can also book your ad space there directly in one click. We have just a few remaining ad spots in large, medium, and small for June. The XL featured spot is booked through the end of July, but is available for August. All ad spaces are first come, first serve. Have questions? Feel free to contact me.